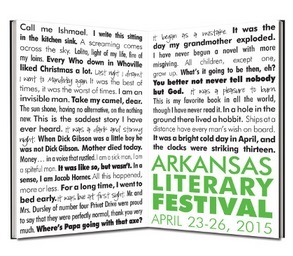 The 12th annual Arkansas Literary Festival kicks off today. From 5pm to 7pm, there will be a book sale preview party at River Market Books & Gifts in the Cox Creative Center. At 5:30, the exhibit “Page Turners” featuring Bryan Collier will open at Hearne Fine Art. At 6pm, there will be a Summer Reading Club Preview on the 3rd floor of the Main Library. 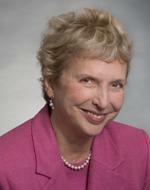 Rebecca Wells will discuss “Divine Secrets” at 7pm on stage at the Ron Robinson Theatre. She is the author of the “Ya Ya Sisterhood” books. She will also return to Little Rock in 2016 to perform her one-woman show at the Arkansas Rep.
Support for the Literary Festival is provided by sponsors including Central Arkansas Library System, Friends of Central Arkansas Libraries (FOCAL), Arkansas Humanities Council, Fred K. Darragh Jr. Foundation, Mosaic Templars Cultural Center, ProSmart Printing, Little Rock Family, KUAR FM 89.1, Arkansas Democrat Gazette, Sync, Arkansas Life, Clinton Foundation, MacArthur Museum of Arkansas Military History, Windstream, Arkansas Federal Credit Union, Arkansas Times, Wright, Lindsey & Jennings LLP, Hampton Inn Downtown/McKibbon Hotel Group, Capital Hotel, Historic Arkansas Museum , TransAmerica, Witt Stephens Jr. Central Arkansas Nature Center, Arkansas Library Association, Pulaski Technical College, Union Pacific, Sequoyah National Research Center, Gibbs Elementary School, Rockefeller Elementary School, Hendrix College, Hendrix College Project Pericles Program, Arkansas Women’s Forum, Philander Smith College, University of Arkansas Clinton School of Public Service, East Harding, University of Arkansas at Little Rock English Department, University of Arkansas at Little Rock Department of Rhetoric and Writing, Pyramid Art, Books & Custom Framing/Hearne Fine Art, Stickyz Rock ‘n’ Roll Chicken Shack, Literacy Action of Central Arkansas, Christ Episcopal Church, and Lamar Advertising. 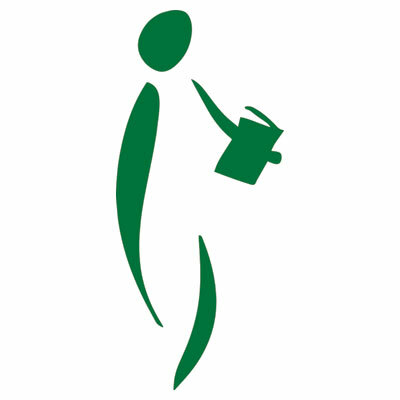 The Arkansas Literary Festival is supported in part by funds from the Arkansas Humanities Council and the National Endowment for the Humanities.